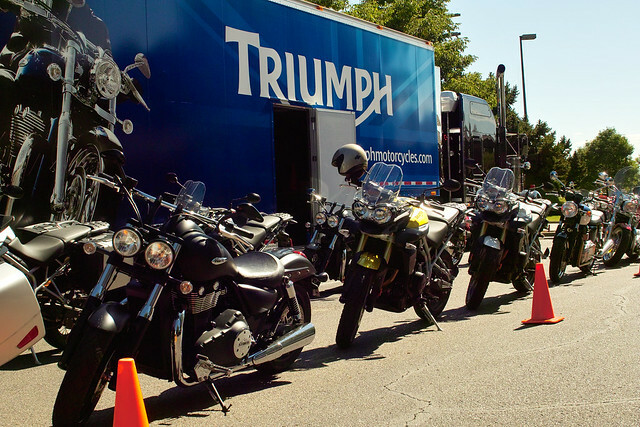 Had a nice time over at Foothills BMW/Triumph demoing a few Triumph motorbikes. Brought all my gear, jacket, helmet, and gloves, signed in, and got on the schedule for a Tiger 800. I was a little nervous, as I hadn’t been on a bike for a while. I’m looking to buy in the next year. After receiving a safety brief from Mike, the demo ride leader, off we went. It was a group ride out 6th ave and back, about 12 miles round trip. A little later, I got a ride on the Speed Triple, but I think I enjoyed the Tiger a lot more. The Tiger is much more my style, upright seating, comfortable, but still extremely enjoyable, and it won’t mind going off-road occasionally. 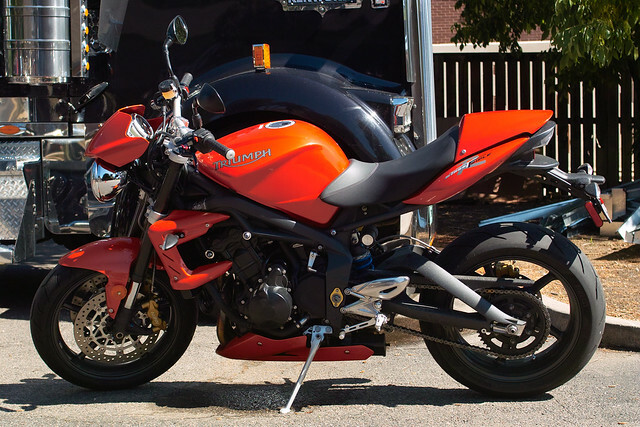 The last ride of the day on the Street Triple R was scheduled at 3:30pm. Since I had a few hours to kill, and was hungry, I headed next door to Carnations Restaurant. Ordered an iced tea, and promptly got a Coke, haha. They fixed that and brought a roast beef dinner. I wrapped that up with a slice of banana creme pie. The lunch was so quiet alone, I usually eat out with my family, wife and 3 munchkins, so the quiet was strange. Headed back to Foothills and waited for my Street ride. Off we went, the guy in front of me on the Tiger 800 I was on earlier kept stalling, at nearly every stop. I wondered what problems he was having, but it sounded like rider error when I got back. We ran into a few raindrops on 6th ave, but it felt good on that warm day. After returning, I thanked Mike the demo coordinator, or Road Show Lead, and headed home. Nice article at Motorcycle Colorado that talked about the demo ride at Foothills too. 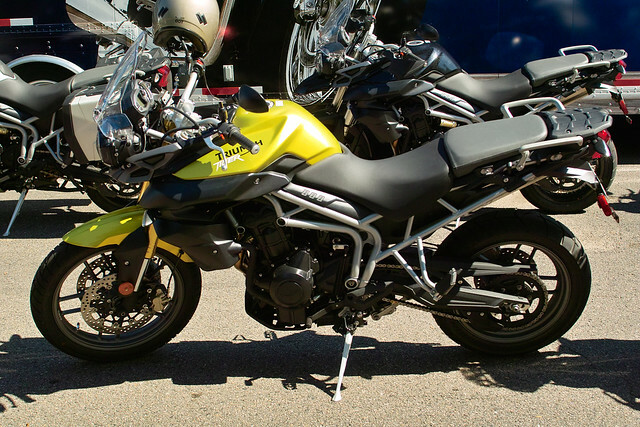 Motorcycle.com reviews the Triumph Tiger 800 and 800XC. 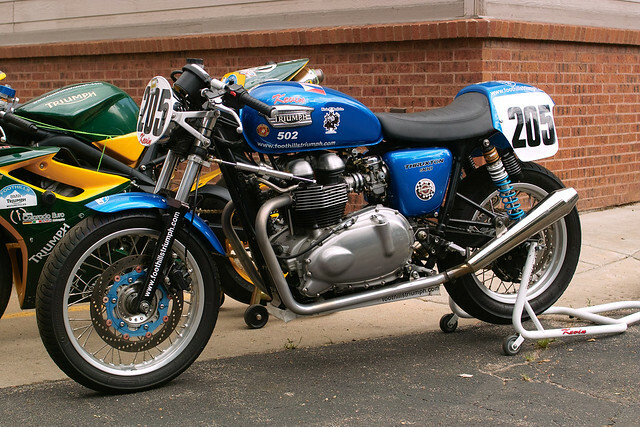 They go over the differences between the 2 bikes, and of course, they like the engine. 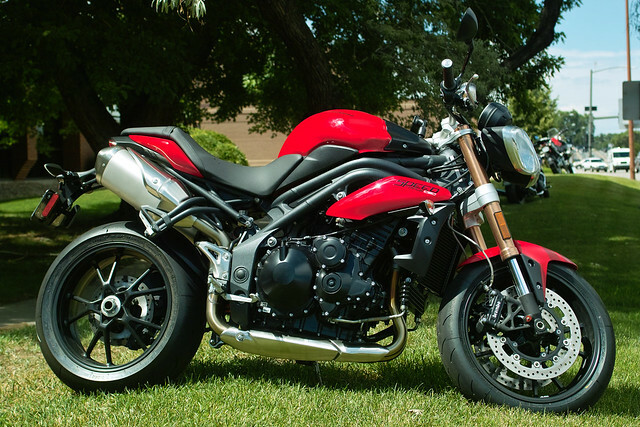 Based on the 675cc triple, the 800 exhibits lots of low end and mid-range grunt, with little vibration.